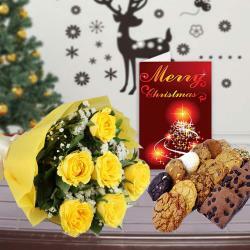 Product Consists : 12 Mix Flowers like Gerberas and Roses with 3 Kg Mix Seasonal Fruits in a Basket arrangement along with Christmas Greeting Card. The best way to make anyone feel loved and cared for is to send them with health in the form of tasty and fresh fruits. 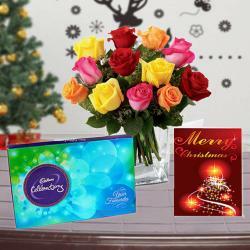 We have a hamper here for you that comprises of mix flowers in shades of red and pink with a lot of fillers. 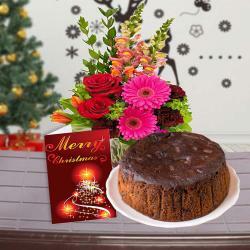 Along with the fruits, you also get a fabulous basket for stylish presentation. 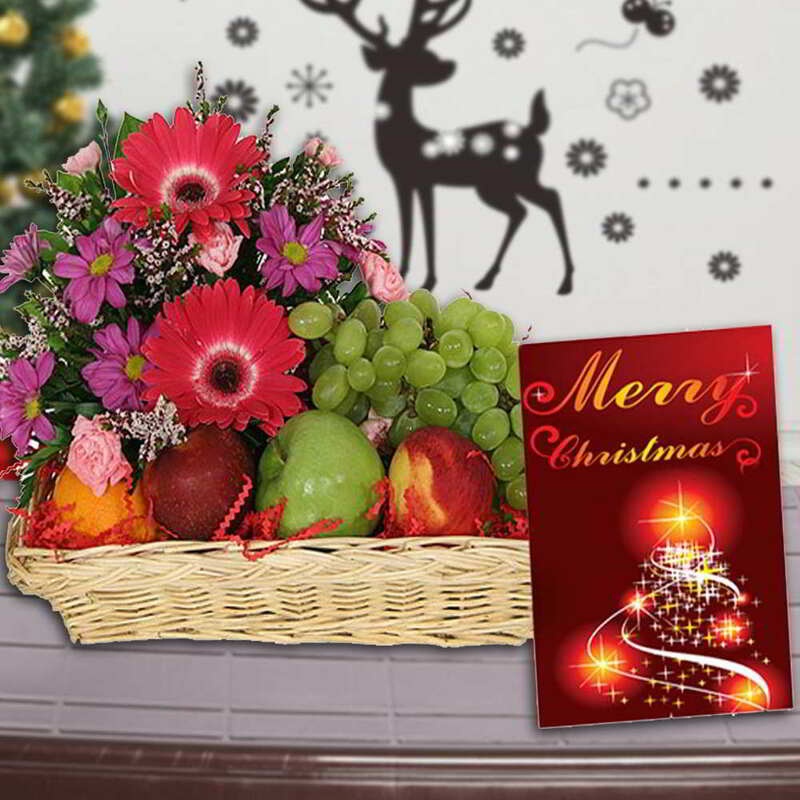 To make the hamper perfect to be gifted on Christmas, we have added a Christmas greeting card. 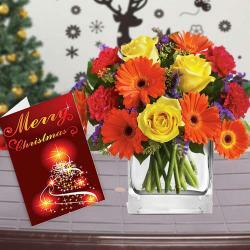 Product Consists : 12 Mix Flowers like Gerberas and Roses with 3 Kg Mix Seasonal Fruits in a Basket arrangment along with Christmas Greeting Card.